Do you worry about injuring your knee during exercise? 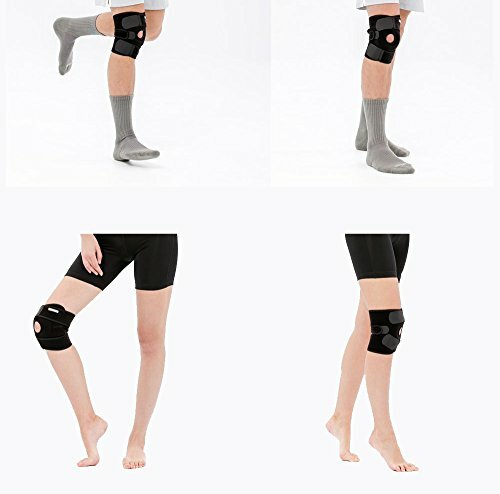 Do you want to protect your knee, while also offering optimal support? If so, we at NeoProMedical have the perfect solution for you: our excellent neoprene Knee Support! The quality Velcro belts of our knee support can be wrapped and clasped together to fit your knee size. This product fits up to a knee circumference of 12.5”18”. 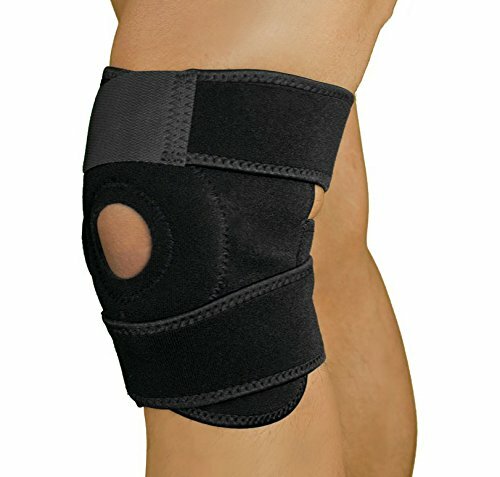 Neoprene is the ideal material for knee supports as it is strong, durable and flexible. Our knee support can be washed and offer optimal support. Prevents skin irritation and keeps your knee warm. 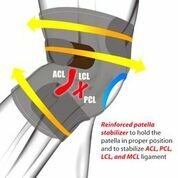 Great for post-surgery recovery, injury recovery and injury prevention. 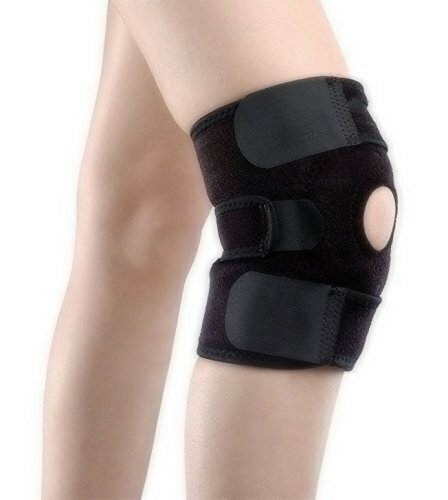 Ideal for athletes who strain their knees a lot during exercise and people suffering from arthritis. You either love our special knee brace or you get your money back. Simple as that! Take advantage of our risk free offer and special price. 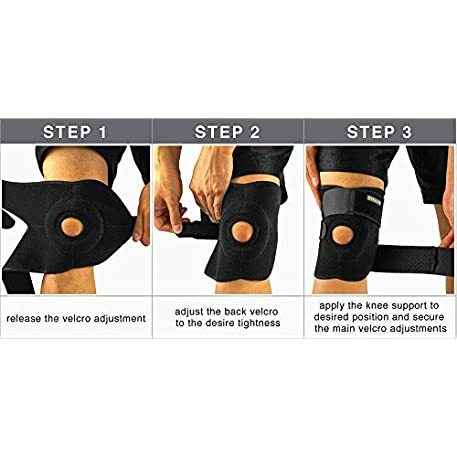 Order your own Knee Support now! AMAZING KNEE SUPPORT! 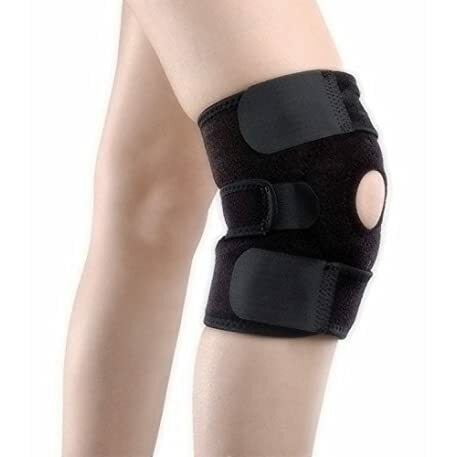 Keeps your knee cap and muscles in the proper position even while you exercise and walk. Great for protecting from sprains and aiding in injury recovery. ADJUSTABLE SIZE! 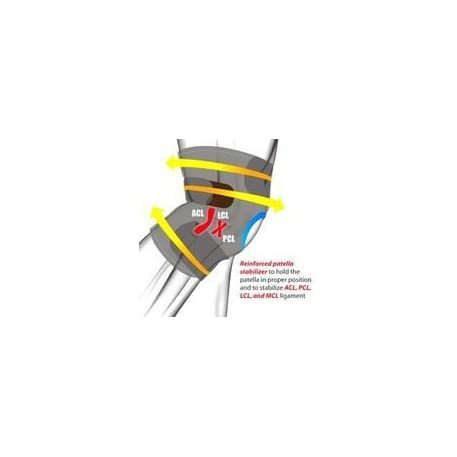 Our knee support can be adjusted with its special Velcro belts to fit almost anyone with up to a knee circumference of 12.5″18″. QUALITY NEOPRENE! 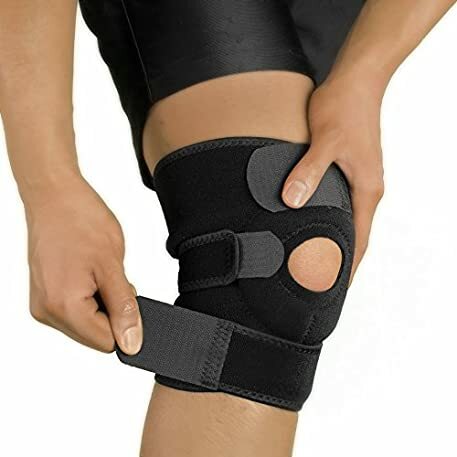 The top grade neoprene material of our amazing knee support ensures optimal durability and strength, while also making it comfortable to wear and washable! REINFORCED PADS! Our knee brace has the ideal design to help you recover from knee surgery or injuries, preventing pain and future injuries during strenuous exercise. 100% SATISFACTION GUARANTEE! If you don’t love our product we give you your money back. Take advantage of our special offer now and order your knee support, totally risk free!